So, just kidding from last post, I do have some nice photos of scenic and cooling off stuff like beaches, coral, and snorkeling! 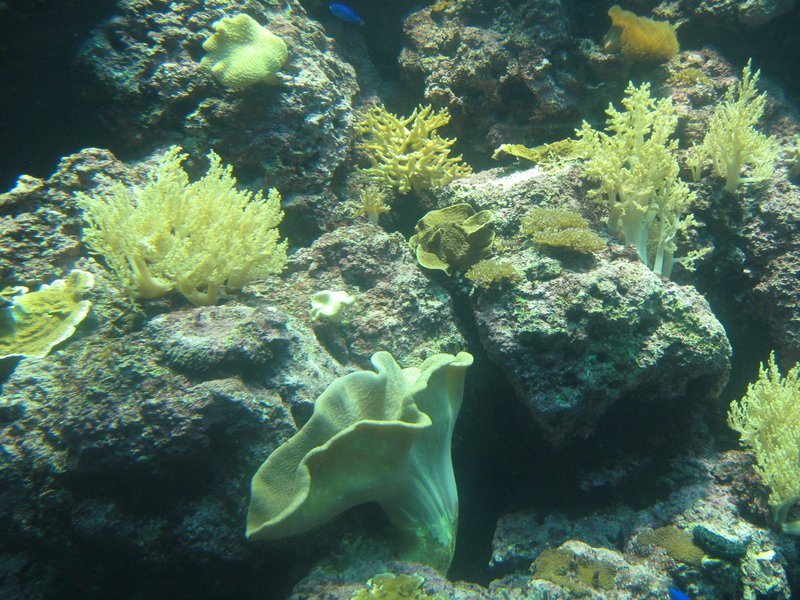 (Disclaimer: no photos were taken during snorkeling, all the coral is from the aquarium.) So at the end of May, some Fulbright friends and I took a brief trip to the southern tip of Taiwan, Kenting National Park, where our friend and colleague Craig Voligny had his Fulbright-culmination art show– it was a show of coral-related paintings entitled Meridians and Parallels, to reference both wave and water patterns as well as energy patterns in the human body expressed by traditional Chinese medicine. We also got to take a spin around the aquarium, where his art exhibit was held, and of course, go to the beach and go snorkeling!! Beaches- above average, with beautiful views, but a bit crowded. Not particularly incredible. 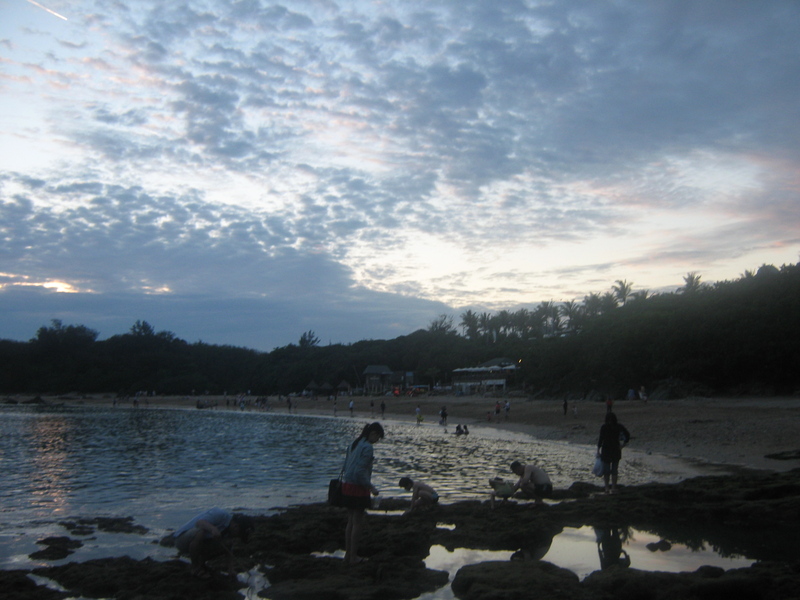 Hotels/hostels/staying in and around Kenting- kind of a rip-off, tourist trap, way too commercial to be fun. Not having our own transport in the form of a scooter or bicycle- major rip off, as buses are infrequent and taxis are exorbitantly priced. Beach-front bar- actually quite nice, fun, and not too kitschy. Coral beaches and outcroppings of ancient coral on land, above ground, from the shore- impressive, intriguing. 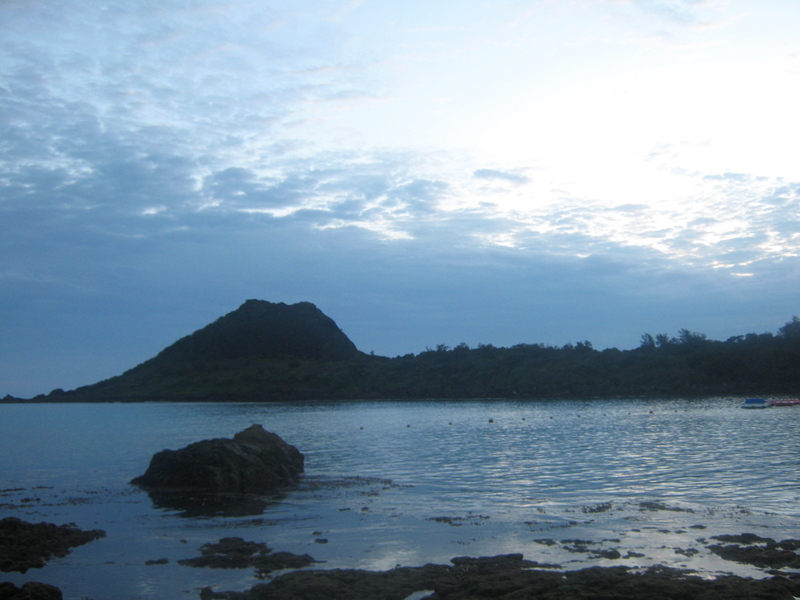 Views of coral from snorkeling, out in the middle of the water at Nanwan beach- amazing, colorful, mind-blowing beauty. I thought these kinds of underwater ecosystems only existed on the Discovery Channel, for Jacques Cousteau, and maybe in Finding Nemo. I didn’t ever imagine that I would ever see firsthand such varied and vibrant coral, plants, fish, and whole underwater worlds that boggle the mind. It was all worth it for the coral. 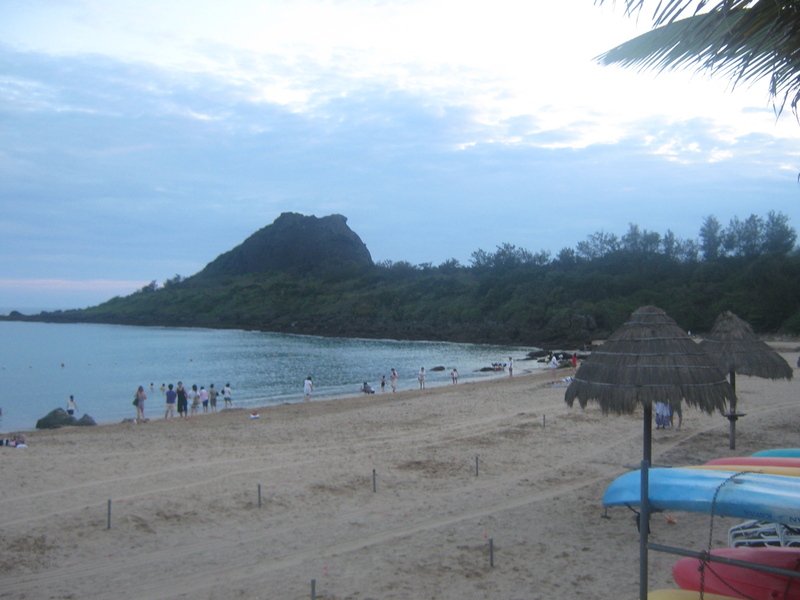 So my advice to future Kenting travelers: get the cheapest place you can find (because they’re all kind of rip-offs), rent a scooter, ignore the overly-touristy stuff, and get busy snorkeling! I’ve heard the rest of the national park is also nice– so nature definitely wins over man-made attractions in this case. Also: always snorkel with a buddy! You will have to go quite far out into the middle of the water in order to see the best stuff, so you should be a strong swimmer. Or bring flippers. Or both. Happy swimming! 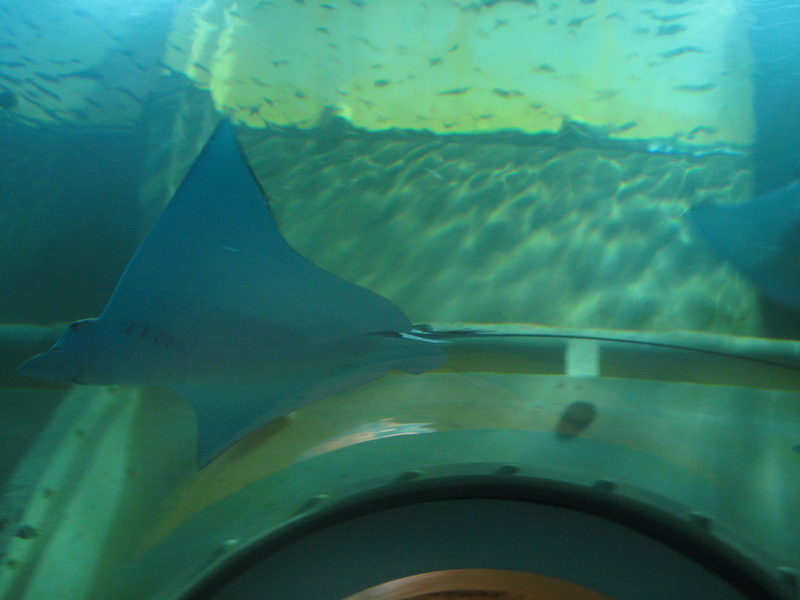 One of the coolest features of the aquarium was the tunnel of glass that we walked through, so the fish swam over us. It was almost as if WE were the ones in the tanks! This stingray just couldn't stop grinning; I found him (or her) quite charming. 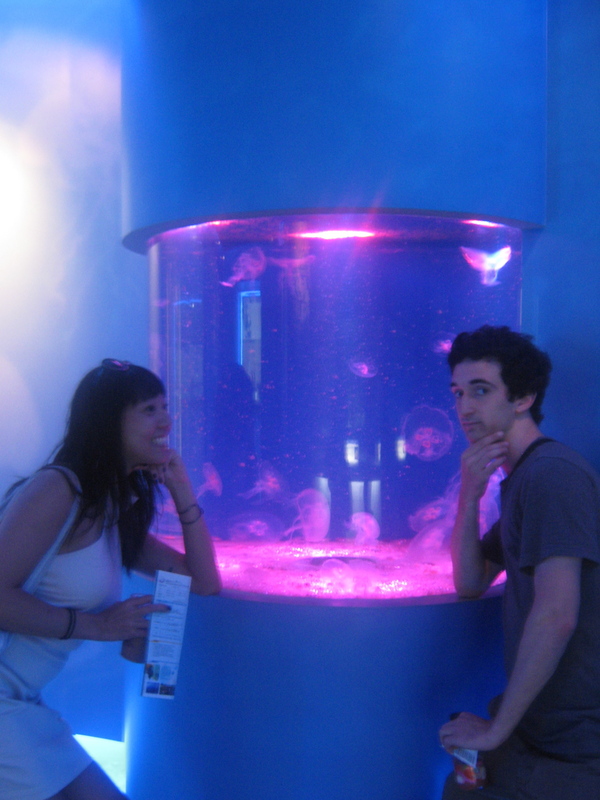 Getting pensive with a tank full of jellyfish and some cool lighting. 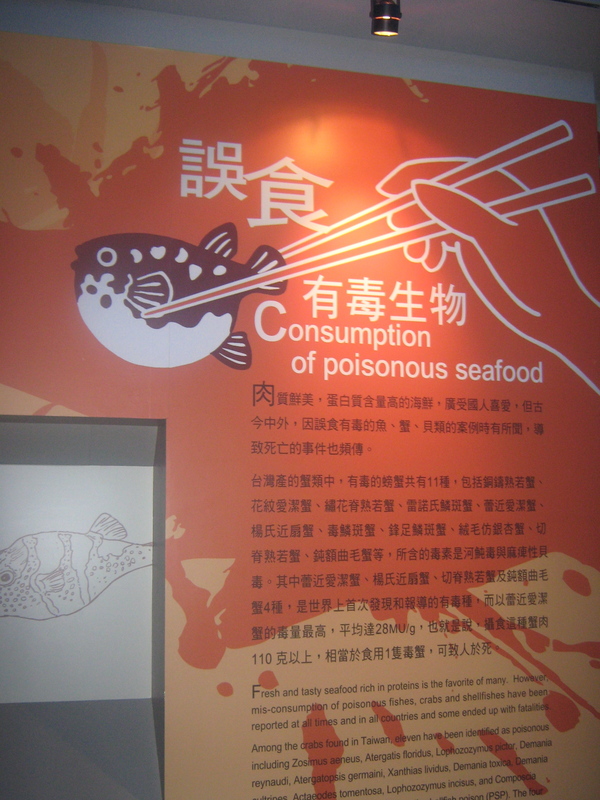 We all found it rather amusing that the "rare, poisonous fish" exhibit also had a big sign about how to EAT (or not eat) the fish and crabs on display. That would be like if next to the wild boars at the zoo there were recipes for bacon. Real subtle, poisonous-fish-eating Taiwan! The exhibition entrance to Meridians and Parallels: Craig's show. Click here to check out his website. This was one of my two favorites of Craig's paintings-- and it photographed better. Click here to check out Craig's website! 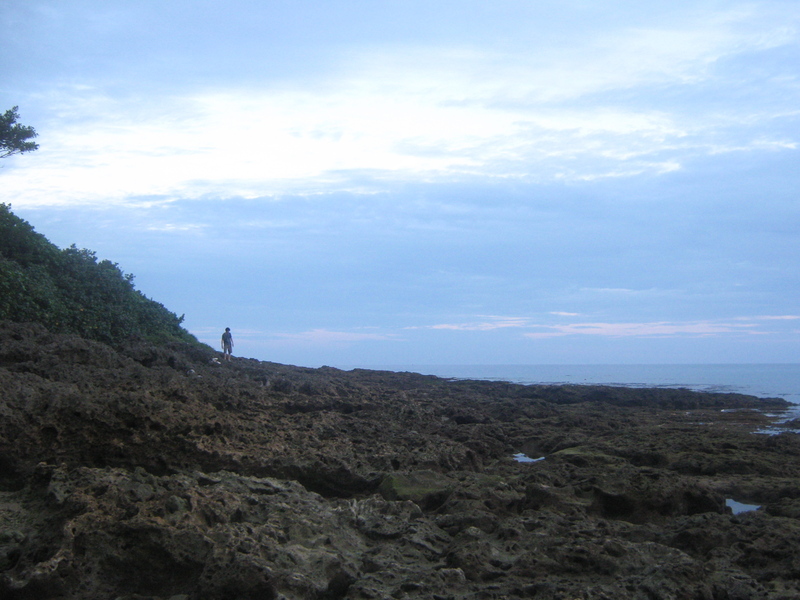 Contemplating the insignificance of man when faced with an ancient, epic landscape of coral. Our beach side view of the cloudy but still dramatic sunset. So, I’m going to Taiwan in a week and want to snorkel… I’m a good swimmer… do you just find a beach and go in the water yourself, and swim out? How do know which beaches are safe to swim in (in terms of strong currents) and that kind of thing? It sounds like the guided snorkelling tours are awful, but I’m a little nervous just jumping in on my own (with a friend, though). Hi Jessica, thanks for the question! So we had a bit of a local guide in our friend Craig, who spent months just diving in with his goggles, snorkel mouthpiece, and flippers. 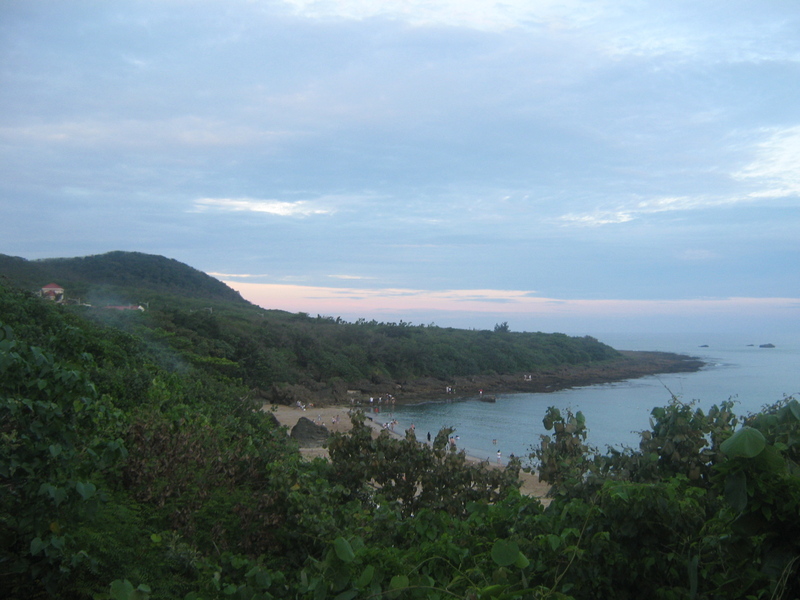 He recommended Nanwan beach, where we eventually went, and another beach closer to the western side of Kenting National Park that I forget the name of. Nanwan is easy to get to if you don’t have a scooter, since you can stay there or there are buses from Kenting town. If you go there, walk down the beach all the way to the left until you hit the rocky parts– dead coral above ground– and then *carefully* get into the water from there and swim/float out towards the middle. I don’t think it’s necessary to go on a tour, but that’s why I recommend a buddy or just making sure you’re comfortable swimming, or even just bobbing, for awhile. No issues with a strong current or waves for us. Nanwan in Kenting can be quite packed on weekends with jet skiers and guided tours, but we went on a Monday and it was lovely and peaceful. Also I recommend wearing flippers or water sandals, since the coral can be sharp and you want to be able to put your feet down anywhere if necessary– I swam in flip flops, but that’s a hassle! Other good snorkeling locations that I’ve heard of in/around Taiwan are the beaches at Hualian (east coast), Yilan (not sure if there’s actual snorkeling or just swimming/surfing), Penghu Islands, and Green Island. But your best bet in any location, depending on how your Chinese is or if you speak Chinese at all, is to ask advice from a local person at the beach or a friendly-looking westerner. Everyone is typically pretty friendly! We just bought snorkeling gear at a local shop, but you might be able to rent it too from a hostel, hotel, or guide on the beach, without having to take a tour. Have fun!! That’s nice aquarium, i lke the coral reef,beautiful sunset.